Earlier this year, I ran a coached workshop for Working Mums; the first in a series of workshops I’m developing this year around letting go of the notion that there is a ‘right’ way to parent and finding what works for you and your family. I wrote about the workshop over on my website last week if you want to find out how it went! If you like the idea of these workshops, then I’d love your help to develop more and create an online programme later this year so, if you haven’t already via the website, could you spare five minutes to take part in a short survey? Just click on the image below and it will take you straight there. Thanks in advance for taking the time! After a morning where I was less present than I would have liked with Mushroom but not so distant it bothered me, we spent a lovely afternoon indoors because of the rain. This usually frustrates us both but on this particular day Mushroom and I made monsters with play dough, completed jigsaws, read to each other and practised writing his name. No complaints, tantrums, tears or requests for TV. We had some good conversations about his week and he shared things he hadn’t told me that were still bothering him. Frustrated by a mountain of washing and a broken washing machine, I did not start the morning in the most positive mindset (to put it mildly). A visit to the landrette was a complete disaster. The bag broke, spilling washing all over the street and at the same time, Mushroom run away from me towards the road! He stopped, but I was so annoyed I could barely speak to him. We just about made it to French club (which he had insisted he wanted to go to) but when we got there he shouted at Catherine and the other children and generally acted out. I don’t know whether it was because there were too many people for him (there were more than usual), he was feeling bad about running away or he just hadn’t really wanted to go in the first place and not said, but he was so disruptive I took him outside. Twice (he said he wanted to go back after the first time). The second time we left he had a full on meltdown in the street and when someone asked what I ‘did to him’ I ignored them but felt like the worst parent in the world. I had been too angry to see that what he probably needed was to know that my awful mood was not his fault. It wasn’t until much later when we had both calmed down that a conversation with him made me realise this. 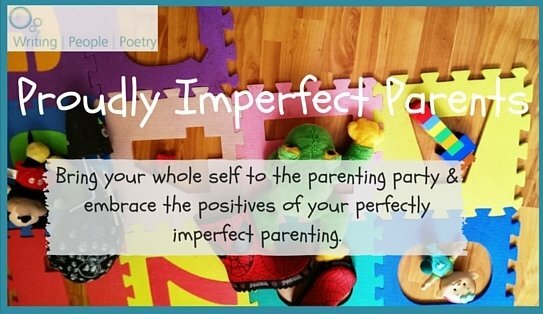 If you’re interested in exploring new ways to let go of the idea of perfection as a parent, you might enjoy my Proudly Imperfect Parents coached workshops, which kick off next month with a Working Mums Workshop. The first dates will be released next week so if you are interested, make sure you’re on the list to be first to know and receive special offers! Our last Mummy Plus interview was back in May with communications expert Amy Beeson, who had at the time just released a book she co-wrote with her mum, baby expert Sarah Beeson MBE, which shared Sarah’s experiences as a trainee nurse in 1970s London. Amy and her mum are now just about to release their first parenting book, ‘Happy Baby, Happy family: Learning to trust yourself and enjoy your baby,’ which will be released on 7 May! Head over to Amy’s interview to find out more about her. Being a proudly imperfect parent myself, of course I love Karen’s openness about the challenges of motherhood and her engaging podcasts with other imperfect mothers who happily share their daily challenges. So I was honoured when Karen invited me to be a guest on one of these podcasts! Having got to know Karen a little since then, I wanted to find out even more about her so invited her back here, to share her story with you. Your journey to motherhood wasn’t an easy one, could you tell us a bit about that, and how it felt when you finally became a Mum? Love to. Becoming a Mum was something I never thought would be difficult. I always loved kids and at the age of 34 when my husband and I decided we were ready, we thought we would get pregnant right away. After two years of failed pregnancy test after failed pregnancy test, ovulation kits, acupuncture, avoiding alcohol and caffeine… We just stopped talking about it. It was too painful. And for any Mom who has experienced infertility this will resonate: You see babies and pregnant women EVERYWHERE when you’re trying to get pregnant. As much as I was happy to see friends and patients in my Chiropractic office having babies, it was like a little stab in my soul each time it would happen. We then went through fertility tests, procedures, and were poked and prodded for a few years. The next step would have been IVF but at that point I was emotionally done. That was it. I just couldn’t do it anymore. In the meantime, we had started the process of getting approved and then on the waiting list to adopt. In the back of my mind, I still thought I could get pregnant. But it never happened. And although it gets better over time, it’s a loss that will probably always be with me. However, adoption made me a mummy for the first time at 41 (hence the name of my podcast, blog and Community, Mom at 41), and then again at 44. And I am so very thankful for that. The gratitude I feel for our sons’ birthmoms for choosing us to be their parents is something that will always be in my heart, and I don’t forget for a single day. Even those incredibly tough ones as a Mum. When I finally became a Mum for the first time… My husband and I were outside the hospital room when our first son Tyson was born. Even as I type this, four years after it happened, I still well up with tears. When I heard Tyson cry for the first time, I literally dropped to my knees and sobbed. It was such a release of all the pain, shame and frustration of seven years of struggling to become a Mum mixed with such incredible gratitude in that moment. So how did it feel? Pure joy. The purest I’ve ever felt. What surprised you most about the reality of motherhood? That’s an easy one. How hard it was. And how other Moms didn’t talk about it. How hard sleep deprivation is on trying to function (although this got easier for me over time and once our second son joined our family). But mostly, the mommy meltdowns from exhaustion, frustration and feeling like you’re the worst Mum, and yet no other Mums talked about this. That was the most difficult thing and what was most disturbing. 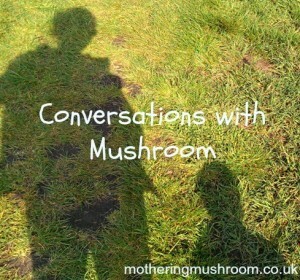 This feeling that you shouldn’t think or say certain things for fear of being judged by other Mums. And this was one of the biggest motivating factors behind creating Mom at 41. You’ve been working as a Chiropractor for 13 years and since becoming a Mum, you’ve also created this Mom at 41 community to inspire and support other Mums via weekly podcasts, a blog and a Facebook group. You also recently hosted your first webinar and have started an exciting new project this year. Just how do you manage to fit it all in? I get asked this question a lot, more in the form of: How do you do it all so well? And my honest answer is: I don’t! Right now, I’m struggling to find some semblance of balance and keep telling myself it’s just for a short period of time that I’m not getting much sleep, not at the gym as often and stopped having time for me to read or journal each day. I work every night when my boys are in bed, and each morning before they wake. It’s crazy right now. My passion and drive is both a blessing and a curse and I am starting to learn that I simply cannot do all the things that I want to do, and how to focus on what will really have the most impact in my message and with my vision for Mom at 41. You’ve just become a Desire Map Licensee. Can you tell us a bit about that and how it fits with what you’ve been doing? Yes, I’m so excited about this! The Desire Map is a book by the divine Danielle LaPorte that is really a heart-centred approach to goal setting, and discovering your Core Desired Feelings. The goal then becomes about how you want to FEEL. I first heard about Danielle LaPorte on a podcast about a year ago, read The Desire Map earlier this year, and resonated and connected with everything she wrote. I then heard her speak in October, flew to Santa Monica, California for a seminar she taught with two other writers called Open Books and then became a Desire Map Facilitator. 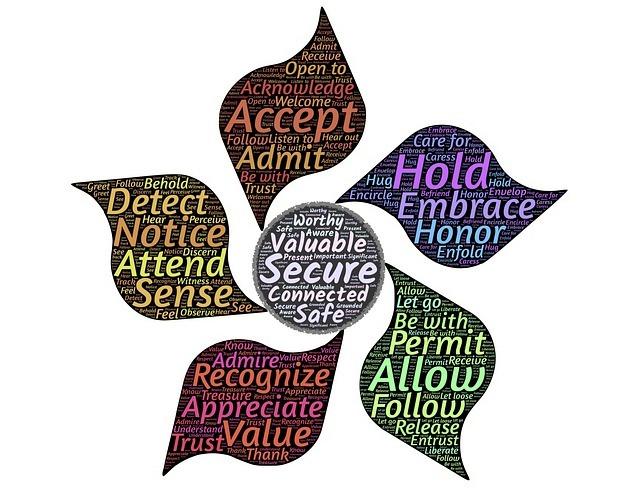 As a Facilitator, I start teaching my first Desire Map Workshops (both In-Person and Virtual) from this month to help women through this process and in creating their Goals with Soul. I truly believe in this work, and know that Desire Mapping is an absolutely life-changing experience, as it’s impacted my life on so many levels. What do you feel your biggest challenges are now and how have these changed in recent years? My biggest challenge is juggling my Chiropractic Practice with podcasting, blogging, creating and caring for my two young boys, while still investing time in my marriage, with friends and caring for me. It’s the challenge we all often have as Mums which is time, or feeling like we don’t have enough of it. However, I’ve been making some big life decisions to move in a healthier direction with all this, in addition to learning to say no to a lot more than I do right now. Learning how to dial down and better focus my passion is a big lesson for me right now. The amazing people (a lot of ‘mompreneurs’!) I’ve met in the online and podcasting world. They are truly some of the hardest working people I’ve ever met. My online colleagues are so incredibly giving, helpful and have really helped guide me through the massive learning process from the start of this journey with Mom at 41 and still continue to help me to this day. What a gift it is to be able to connect online with so many amazing people from around the world, and meeting new people all the time who are wanting to work together to help more people in our collaborative work. Both of our boys are in full-time daycare. There is no way I could do all I do without it. I used to feel badly about this. But my work aspirations are a big part of who I am, and I need to fulfill that part of me to be the best me, and the best Mum to my two boys. Again, not the best with this one, since I try to do so much in my downtime. I’m probably the most ‘switched off’ when I’m spending time with my boys, but still guilty at times for checking my phone when I’m with them. Probably a lot of what I’m doing now but with more help. VAs in place to help with a lot of the admin stuff, creative copy and website work. And I’d get back to writing more. I miss it. Since I started the podcast, it’s taken center stage and is a medium of expression and creativity I love. But writing is still a big part of me and I would love to have more time to just sit and write for at least an hour a day. If you had to describe your boys in just three words (that’s three words each! ), what would you say? ….an imperfect creative woman who is striving to do her best to serve other Mums. I have such a driving force inside of me to connect with Moms, and my work with Mom at 41 feels most like Me. 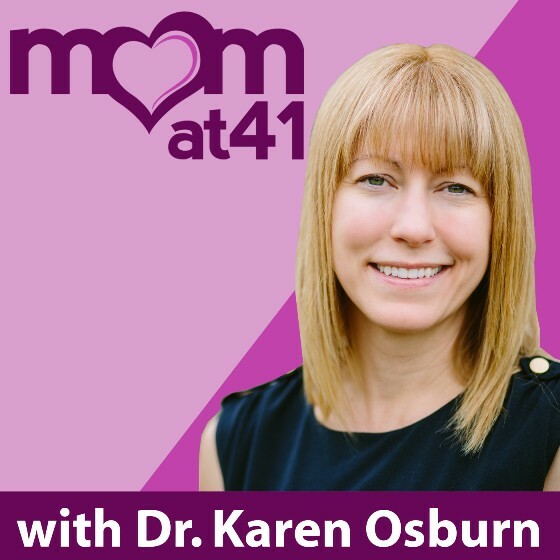 You can find Karen online at Mom at 41 and on twitter @DrKarenOsburn. If you’d like to be part of the community, head over to her Facebook page where you can meet other imperfect mums from around the world and share your own stories, challenges and joys! If you’re interested in the Desire Map workshops, Karen is running her first workshops (both in person and online) this month. Find out more and sign up now! Whoa, what? I’m not perfect? Really…? Ok. So I know this is hardly news. I mean, the perfect parent.. Who is, right? We’re all just doing our best and hoping our kids know we love them, aren’t we? Every now and then, well intentioned (I hope!) people take it upon themselves to let me know I’m not parenting up to their standards… Just last month there was the man on the bus who told me Mushroom is too big to be in a buggy (he was asleep at the time. Ummm…), the man in the street who said that I should be holding Mushroom’s hand. While he rode his scooter. And then there was the woman who kindly told me that Mushroom should be wearing his hat because it’s cold. The hat that he had just taken off because he was too hot after running around in the park (and how many kids keep their hats on, anyway?). This is on top of the times I berate myself for my ‘failings’ – I shouldn’t have told him we’ll leave Auntie’s house if he won’t behave (because we won’t), I shouldn’t have let him eat that much chocolate… How I react to the ‘helpful’ advice offered in the past month had a lot to do with what else had been going on for us that day. Some days I was mindful, present and I just let it go, knowing it’s their stuff, not mine. On one occasion I’m less proud of, I responded with anger and then once out of sight, I cried. 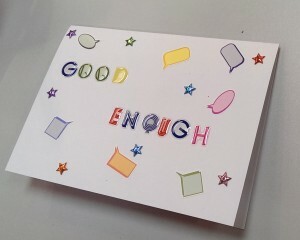 Tired, frustrated at my failings and my inability to respond with more grace, my emotions simply got the better of me. “I struggle to get everything done” – do we really need to do everything? “I just want the best, or at least ‘better’ [than they had] for my child” – great, and what about you..? “I feel guilty because I’m not spending enough time with him/her” – says who? Quality is better than quantity.. The thread that holds a lot of these things together is this idea that there is a ‘right’ way to be as a parent. Not necessarily perfect but for some it’s pretty close! These women are beating themselves up because they are not living up to an unattainable ideal and it pains me to see it. I have to remind myself of this fairly regularly too but in my heart I know it’s the truth. All this other stuff? It’s not real. Ok, some of it is but the need to be all of the things, all of the time, to all of the people in your life (and especially our children, who we always put first!) is not. Trust me. It’s ok to put yourself first sometimes (yes, really). It’s also ok to get angry or upset if you’re having a bad day (and we all have bad days). It’s actually healthy for our children to see us showing emotions – it shows them that we’re human, just like them. If we respond in a way we feel isn’t fair to them, we can always say sorry and explain why we are feeling bad. Children (especially pre-schoolers) have enormous emotions that they can struggle to manage so they get it. They will be forgiving and possibly even relieved as our being vulnerable allows them to be too. Being an imperfect parent is nothing to be ashamed of. 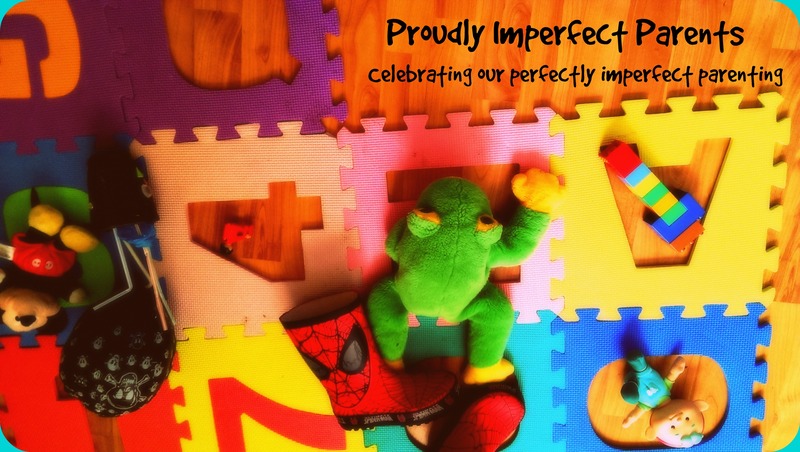 Aiming for perfection is unhealthy, both for us and for our children. In my coaching work, I love helping mums who are parenting (im)perfectly well to let go of the idea that they are not doing (or even being) enough, put themselves first and be proud of all that they are achieving. So, in a bid to help even more parents, I’m launching my first coached workshops this year! The workshops will be small groups, limited to a maximum number of six, which allows me to give each group a truly personal experience that will be tailored to the needs of those attending. The Proudly Imperfect Parents series starts with a Working Mums Workshop that addresses the specific challenges faced by working mums. Further workshops will be developed over the course of the year. Find out more about the Working Mums Workshop over on my website. All of the workshops will begin and end with a guided meditation and each group will receive a follow-up email with resources that specifically address issues raised during the session. If you’re interested in attending the Working Mums Workshop and/or would like further information on future Proudly Imperfect Parents coached workshops, you can sign up below to be the first to find out dates and receive special offers! Everyone who signs up will be given full access to the closed Facebook group, where you can find like-minded parents sharing resources and supporting each other.